Krista is the LAII's Associate Director for Academic Programs. She began her academic career at UNM, earning her BA in History and Women’s Studies, where she quickly realized her education was as much about unlearning as it was about learning. Not wanting that alumna status to go into effect just yet, she continued her graduate studies at UNM, earning an MA in Latin American Studies and an MBA. 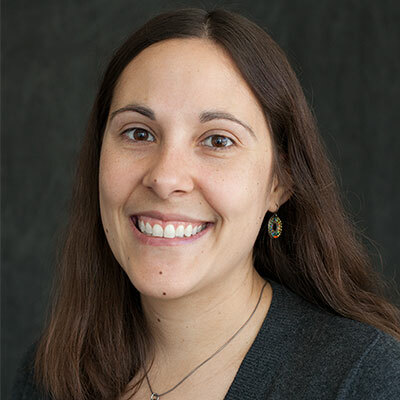 Krista enjoys working with students, staff and faculty to advance the mission of the University and help students on their academic and career paths. At the LAII, she oversees grant initiatives, supports the Latin American Studies program, coordinates the Foreign Language and Area Studies fellowships, and provides assistance and input on broader research and program development. She previously managed programs at Continuing Education and the Anderson School of Management. When not enjoying time with friends and family, Krista practices yoga and tries to take full advantage of our beautiful landscape and amazing museums.